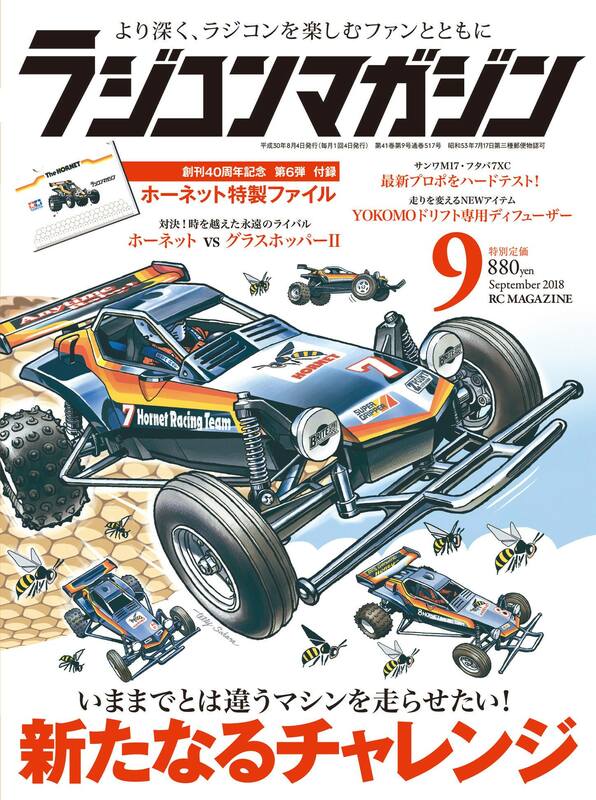 RC hobby September issue released August 4, the cover has been finished. The topic feature titled “Challenging a new genre”, which is interested but has not been able to easily reach out to the second category of readers, is to recommend the machine of recommendation and the peripheral items, the minimum necessary We will introduce preparation of limit. Of course, we also cover the trends that we can support. In addition, it is a historic famous car, a thorough comparison of Tamiya’s Hornet and Grasshopper II which is a good rival, Yokomo’s new drift diffuser, the latest high-end propo impression impressions and much more! The special appendix is ​​Hornet’s clear file. This entry was posted in Media, Vintage on July 23, 2018 by admin.